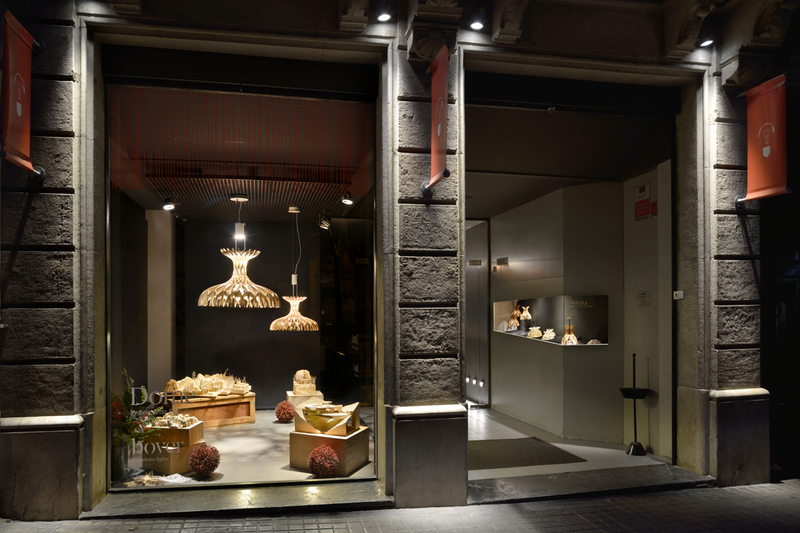 Bover Barcelona has created a beautiful storefront at Punto Luz with the ‘Dome’ lamp and the recent lighting design ‘Domita’ designed by Benedetta Tagliabue and Joana Bover. 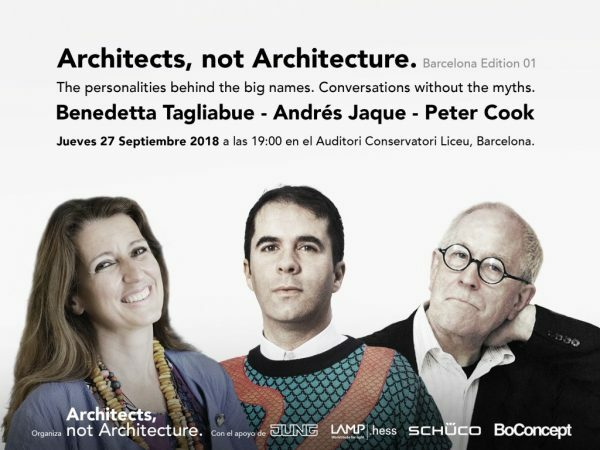 Benedetta Tagliabue, Andrés Jaque and Peter Cook will participate at the first edition in Barcelona of ‘Architects, not Architecture’ at the Auditori Conservatori Liceu next 27th of September 2018 at 19h00. 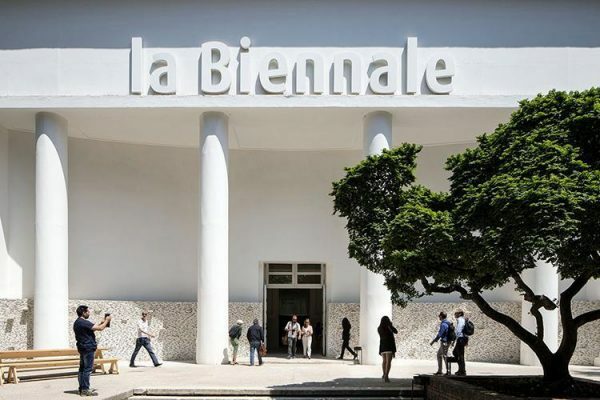 We are very happy to announce that Benedetta Tagliabue – Miralles Tagliabue EMBT will be among the 71 participants of the next Biennale Architettura 2018 curated by Yvonne Farrell and Shelley McNamara. 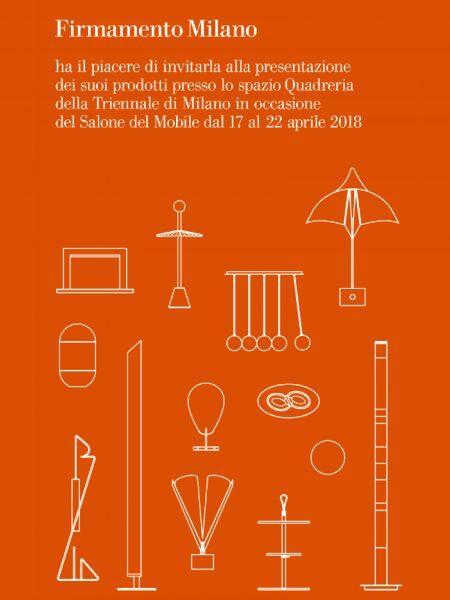 The exhibition will take place from May 26th to November 25th 2018. 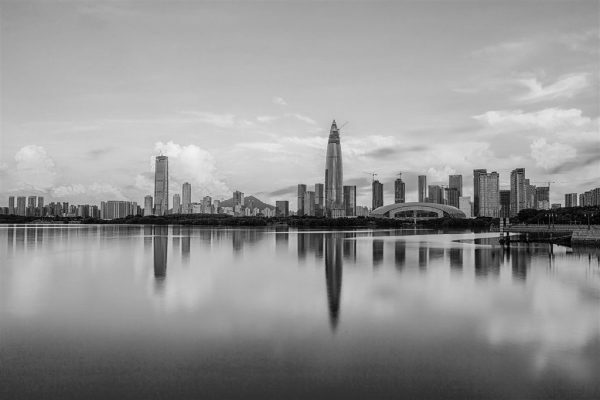 China Vanke Group has named Miralles Tagliabue EMBT as one of the eight shortlisted teams to compete in its Planning and Consulting Competition of the New Headquarters in Shenzhen Bay, Nanshan District, China. 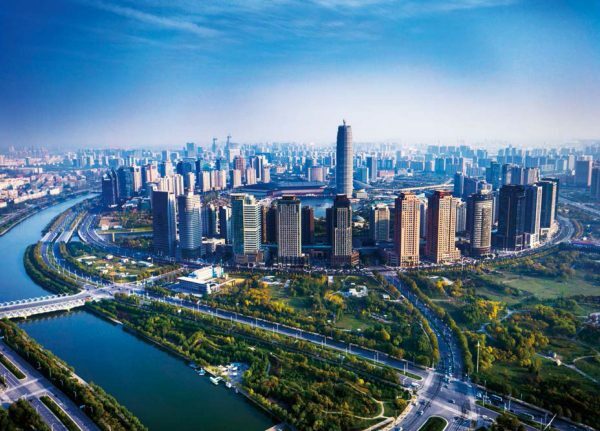 The design competition, run by Shenzhen Ehow R&D Center, will be between Wimberly Allison Tong & Goo Na, WOHA Designs, Rocco Design Architects, Schneider+Schumacher, StaedteBauProjekte, MVRDV, Morphosis Architects, Shenzhen Huahui Design and Miralles Tagliabue EMBT. 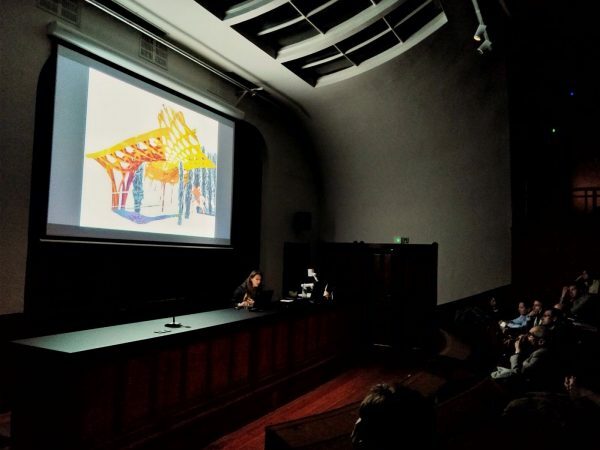 Benedetta Tagliabue participated as a guest speaker at the Auditorium 2017-2018 lectures series, which Stad en Architectuur organizes in Leuven at the Stuk Cultural Centre, with the support of the City of Leuven, the Province of the Flemish Brabant, the Government of Flanders and KU Leuven University. 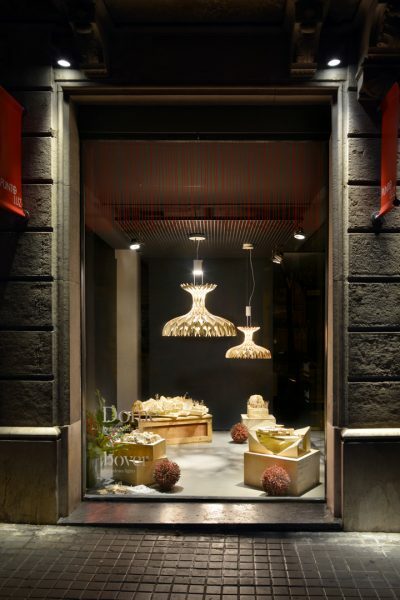 During the Salone del Mobile Milan, Benedetta Tagliabue presented her latest lighting design ‘Kate’ for Firmamento Milano. With its supporting rod, lampshade made of methacrylate and mesh of metal or opaline blown glass and matt black paint finishings, it is a modern interpretation of Chinese lanterns. 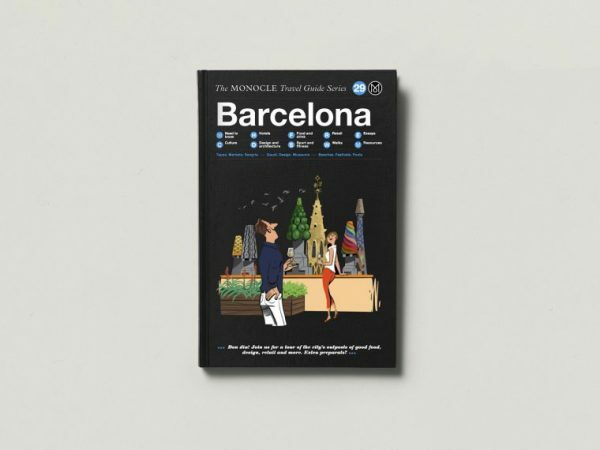 Santa Caterina market has been featured in the Monocle travel guide – Barcelona, in the design and architecture section, where is explore the marvels of modernism and contemporary architecture. Miralles Tagliabue EMBT has been selected with other 10 international studios, for the competition of the scheme design of a Super High-rise Building and Cultural Building in Longhu Financial Center of Zhengzhou, Zhengdong New District in Henan province, China. 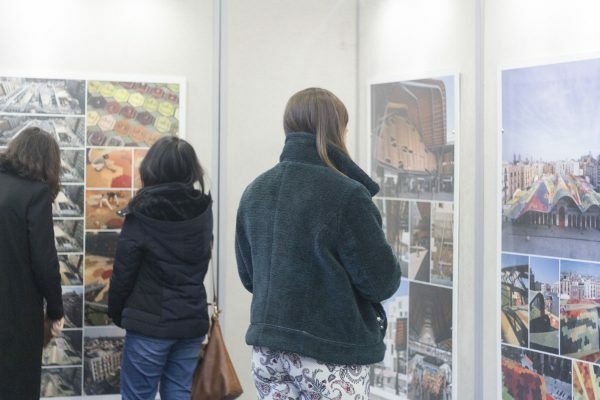 The University of Nottingham is hosting an architectural exhibition of the Santa Caterina Market from February 27 until June 22, 2018. The exhitibiton entitled Beginnings Middles & Ends, aims to showcase one key project from an international practice, from concept ideas and sketches, through design drawings and working drawings to construction on site and then images of the final completed project.